Many still have the idea that printing cannot match offset. For bulk, offset is indeed still the way to go. But, if you are in need of printed matter in small(er) print runs, with varying content or when personalized content is important to you, digital printing offers an excellent solution! We have set out the advantages of personalized content before. By using smart data, you can personalize your printed matter for communications that will have real impact. You can even create new revenue models. Improving performance with variable data printing. Everything revolves around inkjet rotation. It is less known that print offers short delivery and that keeping stock can belong to the past. Also, you can set aside any doubts about the quality of your printed matter, because nowadays, it is simply excellent! We will explain why you can’t compare print to anything else. The printing process is fully automated, which makes it a more efficient process in which combined products go through the complete printing line in a single run. Furthermore, the speed can easily compete with offset. At the end of the print street, your products will be folded and glued or adhesively bonded. The content of every single printing product can be completely different. That does not matter at all. If you choose to use an online portal, you will be able to place your orders 24/7. The specifications of your most commonly needed products are saved within the portal, so that you can simply select the printed matter that you need. Even the quick adaptation of products, with an extra corporate identity check, is possible. A big advantage of printing-on-demand is that you no longer have to keep stock and that your means of communication are always up-to-date. You order what you think you need at that moment. This prevents the unnecessary disposal of excess or outdated printed matter afterwards. The power of printing-on-demand is that you can order small quantities with therefore small costs at any time. Because you use your budget more intelligently and are no longer stuck with printed matter that eventually ends up in the bin, you can actually save money. An additional advantage is that in this way, you also contribute to reducing the ecological footprint. 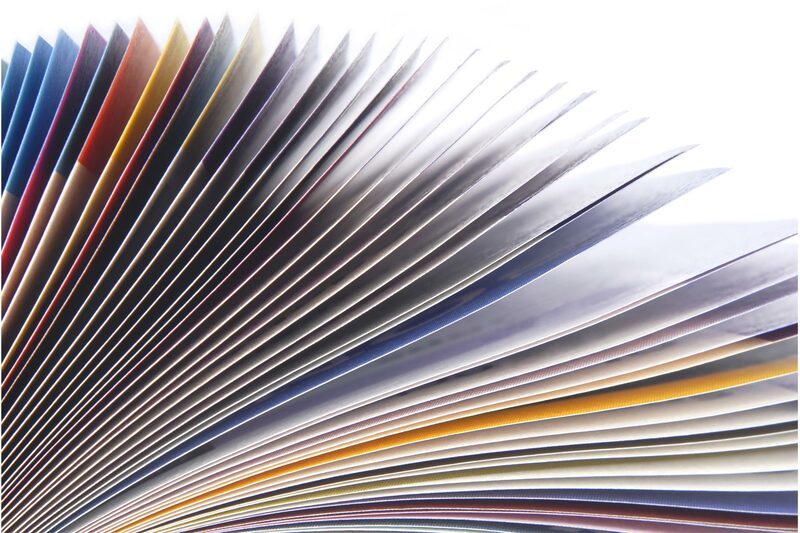 Print is therefore an ideal solution for businesses whose printed matter contains varying content. A company could utilize a catalog with seasonal products or feel the need to fully align contents to the buying behavior of the consumer. For example, you can provide new customers with a full catalog, while existing customers receive a thinner update with only new products. Another option is to switch to publishing several editions of a catalogue throughout the year, instead of an annual one. By smartly deciding when your clients should hear from you, you can reach your customers multiple times a year. Excellent quality. Also when it is of vital importance … The printing quality of print and the range of paper has increased considerably. This has made print an equal competitor to offset, with added advantages that are much more in line with today’s communication needs. A good example of this is an auction catalog that we recently made for the exclusive event The Hunt. In some sectors, where output is literally vital, quality also involves a ‘zero-error guarantee’. With our print solutions, we dare to guarantee that there will be no errors in your printed matter. This considerably reduces any risks for customers. Ideal for small(er) print runs and products with varying content. More efficient process: products go through the complete printing line in a single run. No high start-up costs: no printing plates or plate changes required. Personalized content: higher efficiency for every means of communication. Optimal print quality and a zero-error guarantee. Printing on demand, without holding and destroying unnecessary stock. Do you want to know more? Feel free to contact us for more information about print and offset and the best solutions for your business.